It probably seemed like yesterday when your young child went off to kindergarten. Now, he or she is getting ready to attend a middle school graduation ceremony, which kicks off the official beginning of high school. How did it happen so fast? While some middle schools organize an official graduation ceremony for their graduating students, other schools may do something a little bit more informal, such as a school assembly for students and teachers. And, there are schools that may not recognize the end of middle school, leaving the event up to parents and families to decide how to celebrate. Whatever your student's circumstances, graduation from middle school is an important milestone. For starters, middle school isn't exactly a picnic. Many students struggle through middles school, if not academically than socially. After all, middle school is when bullying peaks and students aggressively figure out the social pecking order. Middle school is also a dress rehearsal for the academic challenges of high school. Your child has had a taste of what is to come, and how he needs to be prepared for the next four years. So, if your child is headed off to high school in the fall, be sure you do something, no matter how small, to celebrate the event. Below are a few suggestions. If your child's school has organized a graduation ceremony, be sure to attend. Middle schoolers can be funny about attending social functions, but a graduation ceremony can be uplifting, and your student deserves to be recognized. If a ceremony isn't in the plans at your child's school, there's plenty of other ways you can mark the achievement. Consider organizing a class picnic with other parents and staff members. You might be able to have the picnic during school hours if testing is completed for the year. If not, it's fairly reasonable to rent a shelter at most city or county parks. Parents can chip in and contribute to the party, by bringing supplies, food, drinks or by organizing games. 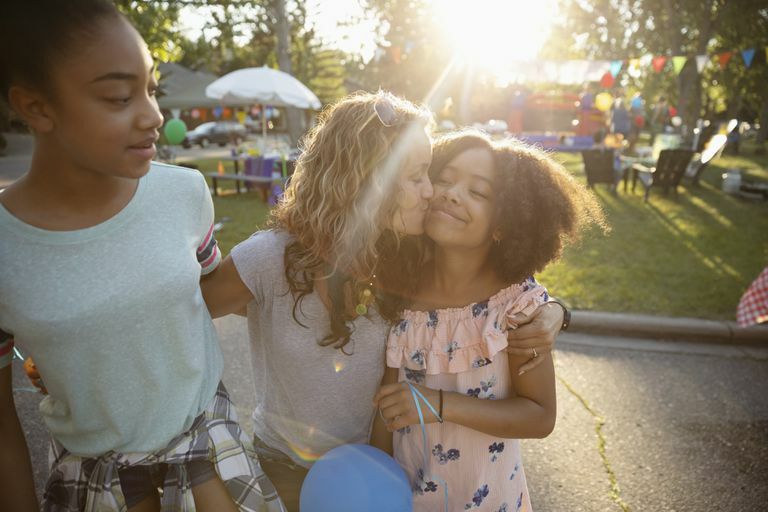 If your child isn't up to a big class party, consider something a little smaller and intimate, such as a family barbecue or a family get-together at a local restaurant. Or, allow your tween to invite 10 of her closest friends over for a sleepover to celebrate their graduation and chat about what high school is going to be like. Another way to mark middle school graduation is to take a tour of your child's new high school. If you can't arrange a tour before the end of the school year, you may be able to take one when the school year is over. Call ahead and speak to the high school secretary for information on when it would be convenient for your child to tour his new school. On the tour, be sure he knows where all the important places are, such as the gym, cafeteria, freshman lockers, and the school nurse. Find out what clubs and organizations are available to your child, and look into sports team or other activities your child might enjoy. Some kids just aren't that into celebrations and parties, others just want events to be as low-key as possible. If you have one of those kids, it might be tempting to let graduation go by without an acknowledgment. But try not to do that. Middle schoolers may be nervous about beginning high school, and they need to know that you're proud of what they've accomplished and that they can handle what's ahead. Even if you celebrate with just a special cake or a pat on the back, let your child know that you're there and that you support him. And that you're proud to be his parent.